Each hair grows approximately 1 centimeter per month & approximately 90 percent of the hair on your scalp is growing at any one time. About 10 percent of the hair on your scalp, at any one time, is in a resting phase. After 3 to 4 months, the resting hair falls out and new hair starts to grow in its place. Hair grows according to location on the body, genetic background, age, and sexual hormonal influences. There are three phases of each cycle: growing, resting and falling. These phases are also known as anagen, telogen, and catagen, respectively. At Normal daily hair shedding of 50-100 hairs per day can be expected. 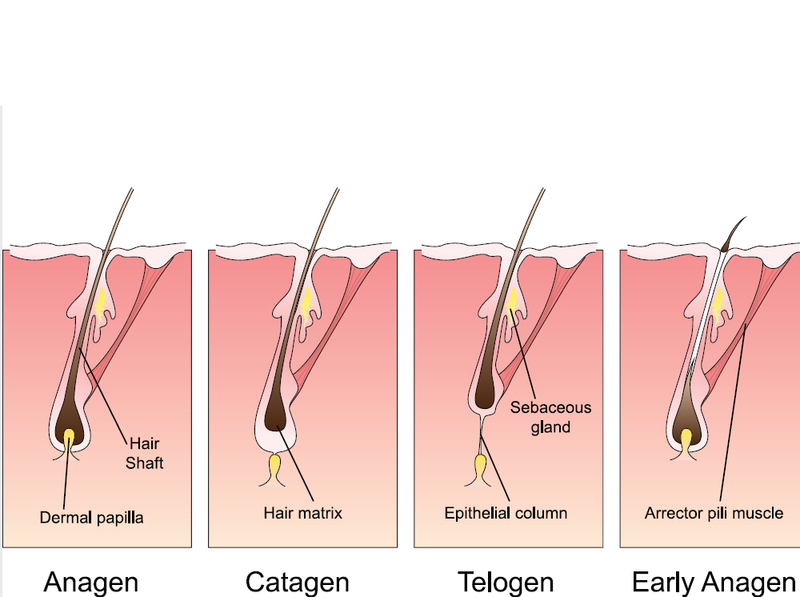 The growth cycle of each individual hair can be up to several years before shedding. The growth cycle of eyebrow hair is very short and the resting period very long compared to that of scalp hair.